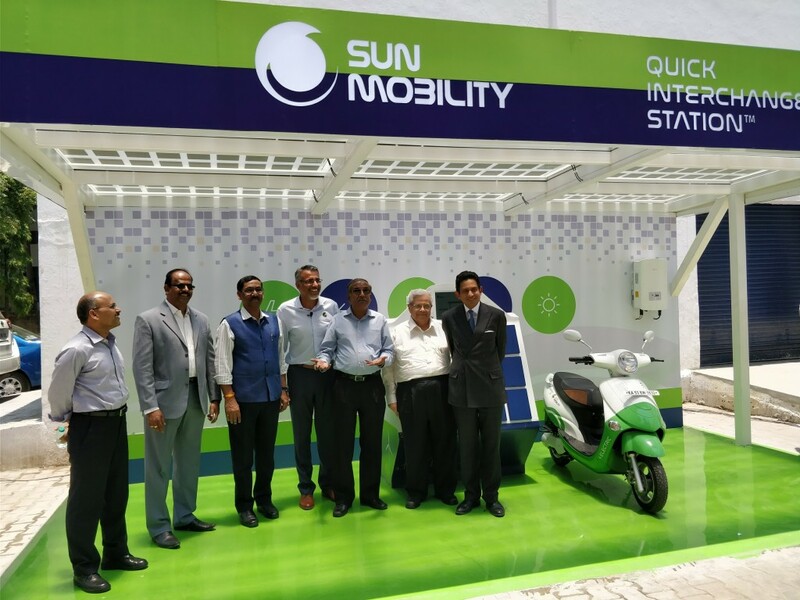 SUN Mobility, led by Chetan Maini (Founder of India’s first electric car, Reva) and Uday Khemka (Vice Chairman of SUN Group), today launched its global, interoperable smart mobility solution for two and three-wheeler electric vehicles at their brand new 47,500 sq. ft. technology development centre in Bengaluru. 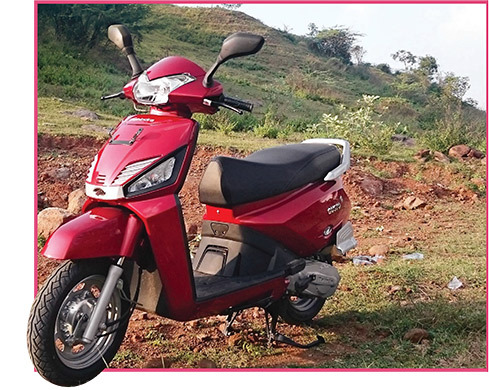 SUN Mobility’s energy infrastructure platform is a first of its kind universal architecture solution that works across various two and three-wheeler vehicles. 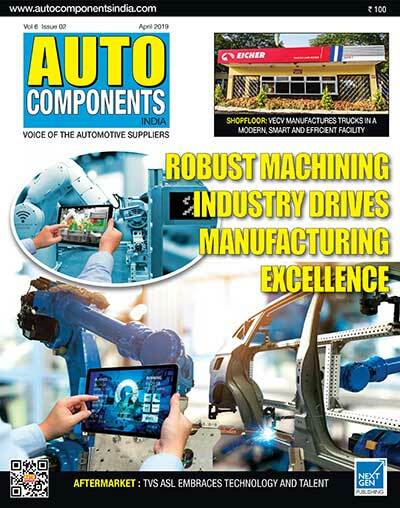 This solution is being launched just two months after SUN Mobility showcased its world class smartmobility solution for buses, in partnership with Ashok Leyland at Auto Expo 2018. The SUN Mobility solution for two and three-wheelers comprises of three key elements, 1) Modular Smart Batteries that are intelligent enough to customise themselves to each vehicle type and versatile enough to be used in combinations of one or multiple batteries to meet customers’ different performance and range expectations. 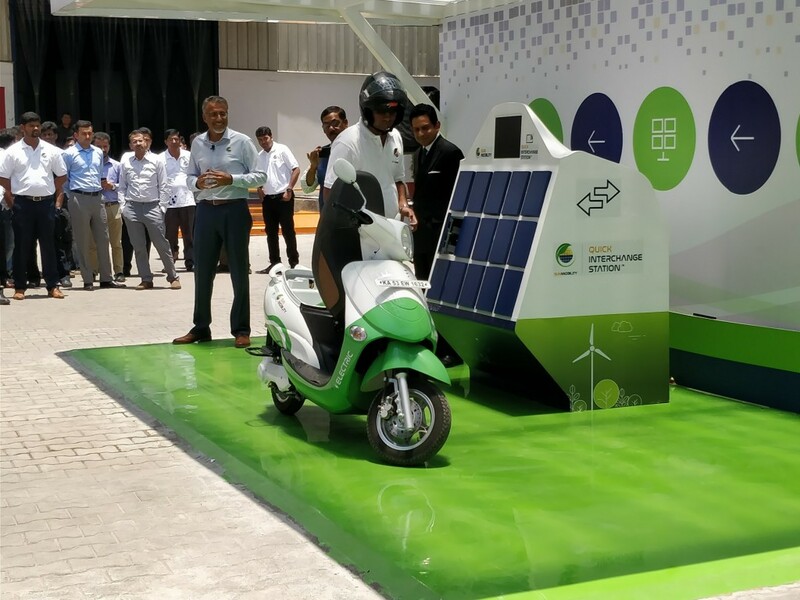 2) Quick Interchange Stations that can be easily installed across a city, enabling customers to swap batteries quickly and conveniently in less than one minute, addressing any concerns around refueling time. 3) Smart Network that connects modular Smart Batteries and Quick interchange Stations, optimises battery performance and allows customers to locate stations and make payments via an app.